Following the recent reissues of Jose Mauro’s Obnoxius, Piri’s Voces Querem Mate? and Victor Assis Brasil’s Toca Antonio Carlos Jobim, Far Out Recordings presents a second album from Victor Assis Brasil from the treasure trove of the Quartin Records catalogue, Esperanto. 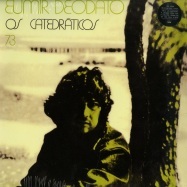 Over the course of the 1960s, Roberto Quartin released more than 20 albums in Brazil on his label Forma, by artists including the likes of Eumir Deodato, Quarteto Em Cy, Baden Powell and Vinicius De Moraës. 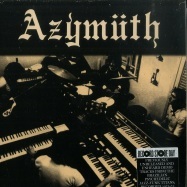 Selling the rights of Forma to Polygram in 1969, Quartin struck out for pastures new at the dawn of the 1970s with the launch of his self-titled label. 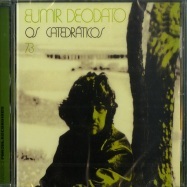 Significant works and high-water marks for Brazilian music overall followed in that decade’s first year. 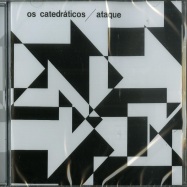 These singular gems in Brazilian music, difficult to categorise yet compellingly beautiful, have for too long gone unheard. 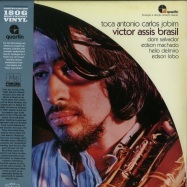 Gifted his first saxophone by his aunt at the age of fourteen, only four years later the inherently gifted and determined young musician Victor Assis Brasil recorded his debut album, with a second to follow only a year later. The prodigious young carioca was subsequently granted a place to study at Berklee College of Music, where he played alongside the likes of Dizzy Gillespie, Clark Terry, Chick Corea and Ron Carter. 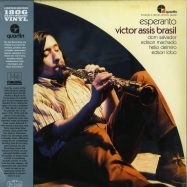 It was also during this period he recorded Esperanto and Toca Antonio Carlos Jobim with Roberto Quartin, upon returning to Brazil in the summer of 1970. 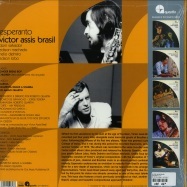 Recorded in the same sessions as the Toca Antonio Carlos Jobim album, Esperanto consists of five deep jazz cuts: original compositions except for a heavy-swinging latin-jazz cover of Jimmy Heath’s ‘Ginger Bread Boy’, alongside more moments of wild frenetic jazz, like ‘Quarenta Graus A Sombra’, amongst more melancholic, but no less captivating compositions like ‘Marilia’ and ‘Ao Amigo Quartin’. 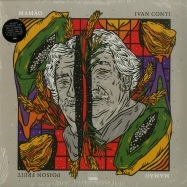 Esperanto’s influences span both American continents, finding a meeting point for Latin jazz and North American post-bop, with Roberto Quartin’s perfectionist approach to sound elevating the already incandescent music to divine new heights. The band consists of some mercurial greats of Brazilian music: Dom Salvador (bass), Edison Machado (drums), Helio Delmiro (guitar) and Edson Lobo (Bass).